Almost from the moment that Islamist militants overran the American consulate and assaulted a C.I.A. annex in Benghazi, Libya, in September 2012, politics consumed the deadly attacks. Using the event as partisan ammunition, Republicans and conservative media outlets sought to make the city’s name synonymous with Democratic scandal. 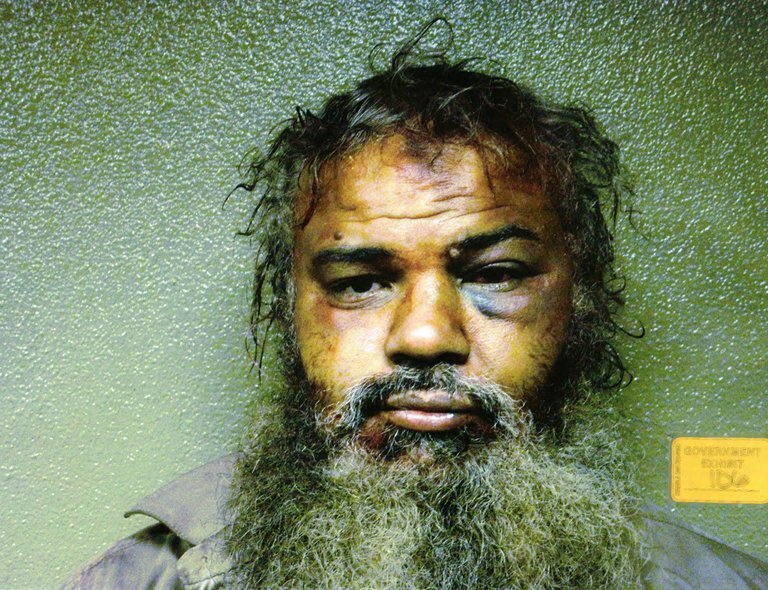 But beginning on Monday in a federal courthouse in Washington, prosecutors will put forward an account that focuses not on politics, but squarely on the attacks themselves and a man they say bears direct responsibility: Ahmed Abu Khattala. “The Benghazi case has been burdened with a lot of politics; now it is the turn of law enforcement, national security professionals and prosecutors to show the world what really happened,” said Carlos T. Fernandez, a former senior F.B.I. counterterrorism official whose agents investigated the attacks. The trial will serve as the latest test of the civilian court system’s ability to handle foreign terrorism suspects captured by Special Operations commandos under battlefield conditions, rather than subjecting them to military detention and prosecution. Prosecutors are expected to portray Mr. Khatalla as a ringleader of a local militia of Islamic extremists who was angry about the American presence in Benghazi and played a leading role in directing the attacks. Ambassador J. Christopher Stevens was killed, as were three other Americans: Sean Smith, a State Department information officer, and two C.I.A. operatives, Glen Doherty and Tyrone Woods. Mr. Stevens, who died of smoke inhalation, was the first American ambassador killed in an attack since 1979. She wonders why she’s so distrusted. Here’s the reason. Democrats have succeeded in persuading the Washington press corps that what happened when four Americans died at Benghazi, Libya, on Sept. 11, 2012 isn’t a story. But the House report released Monday about that night and its aftermath contains details that ought to concern Americans who care about political accountability. Ambassador Chris Stevens and three other Americans died in that attack that is dissected in 800-plus pages released by Republicans on a House Select Committee chaired by South Carolina’s Trey Gowdy. The report’s most disturbing facts concern the way the Obama Administration and then-Secretary of State Hillary Clinton spun an alternative narrative that is contradicted by their private statements and the intelligence from the scene. We learn from the report that the day after Mr. Stevens became the first American ambassador killed in the line of duty since 1979, President Obama decided to skip his daily intelligence briefing. We also learn that on the day of the attack, in a 5 p.m. meeting that included Defense Secretary Leon Panetta, Mr. Obama said the U.S. should use all available resources. After that meeting, Mr. Panetta returned to the Pentagon to discuss what military resources were available. The Defense Secretary then issued an order to deploy military assets to Libya. But nothing was sent to Benghazi, and nothing was even in route when the last two Americans were killed almost eight hours after the attacks began. The holdup seems to have been caused in part by something else we learn from this report: a 7:30 p.m. teleconference of Defense and State officials, including Mrs. Clinton. Ostensibly they were sharing intelligence and coordinating responses. But they debated whether they needed Libya’s permission to deploy American troops to defend endangered Americans, whether Marines should wear uniforms or civilian clothes, and so on. Even more telling: Though there was no evidence linking the Benghazi attacks to a YouTube video mocking Islam, of the 10 “action items” from the notes of that meeting, five referred to the video. Mrs. Clinton referred to the video more than once in her public statements. That’s not what she was saying in private. On Monday this week on the campaign trail, Mrs. Clinton admitted that lots of Americans don’t trust her. “I personally know I have work to do on this front,” she told her audience. This report shows she has earned that mistrust. As have her fellow Democrats on the Select Committee. From the start they treated the House investigation the way Mrs. Clinton’s State Department treated Benghazi—as a political issue. They refused to participate in the investigation and spent most of their time denouncing it as partisan. 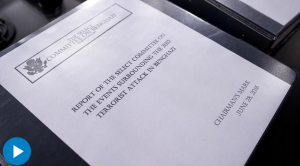 Their minority report on Benghazi contains no fewer than 23 mentions of Donald Trump. The tragedy of Benghazi is that four brave Americans in a dangerous part of the world lost their lives to a determined and deadly enemy. The scandal of Benghazi is that instead of leveling with the American people, Mrs. Clinton and others who knew better opted for a more convenient—and corrosive—spin.